Auction is fun, even if you are not intending to bid anything. Being in the auction hall, watching people raising paddles, looking serious or just simply close your eyes and hear the sound of the hammer is funny. 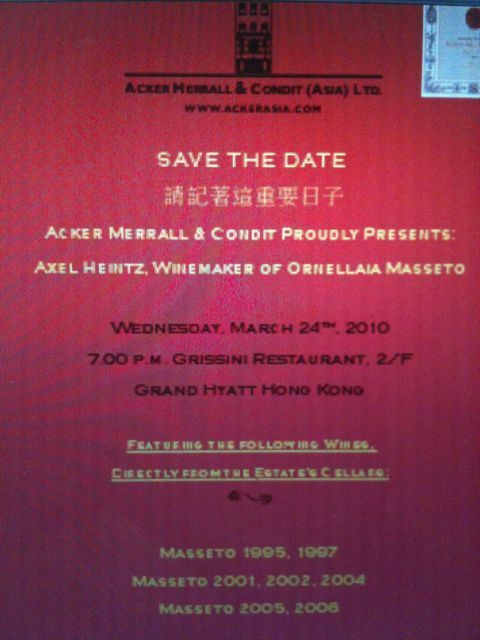 Got invited to Acker Merral’s auction this coming weekend. The sale features an incredible superlot of “4 Centuries of Chateau Lafite Rothschild” (I still can’t believe how can these things cost so much!! the estimate is HK$1,000,000-1,400,000). It spans the vintage 1799-2003 and includes all of the most highly-rated vintages ever produced by the legendary 1st growth property, represented by 70 years. 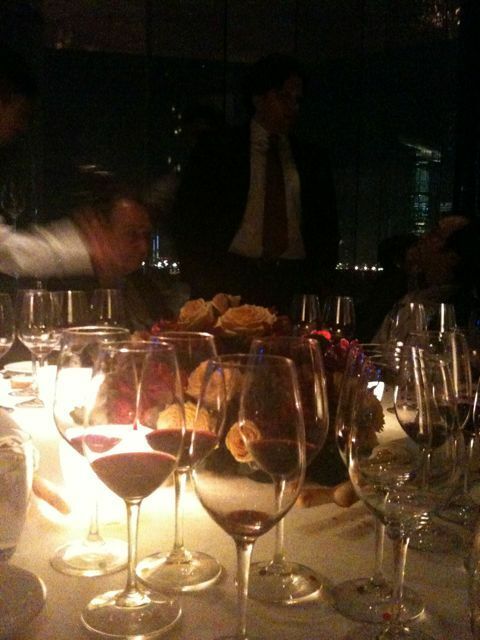 And as usual, there will be cases of top Bordeaux (estimated at over hk$12mio) and some other consignments. On my way in cab to dinner, trying to avoid poking into my eyeballs again drawing my eyeliner, my girlfriend Fiona called. She is my princess whom I invited to accompany me to the Friday pre-auction tasting 2 nights later. She was calling me to let me know there will be a friend of hers attending the tasting as well. So I asked her will he be at Grissini’s dinner then. After the call, I got a text from her friend and ended up sitting next to him and his gang at the table of John Kapon (the president of Acker). The crowd seemed fun and he talked a little funny, a gentleman inside, maybe. However my focus was the wine, the italian food and everyone around. Strangers-watching in an enclosed setup is interesting to me. Anyway, back to this 100% Melot. I like the 97 and 05 vintages while I found the 01 vintages most enjoyable at dinner since my 01 wine glass emptied up the fastest among all others. 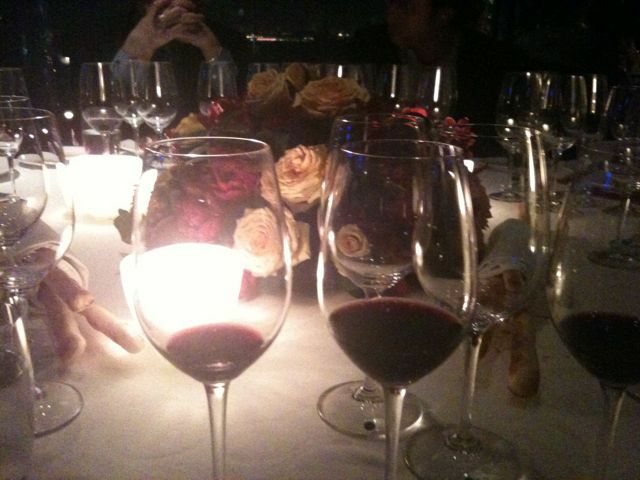 The 04 and 06 served at the end seems alright but didn’t seems ready to drink at this time, or at least at that table. Will I pay hkd4-7k for a bottle of this new bordeaux? I guess i’d probably buy a real Bordeaux with that amount of money. 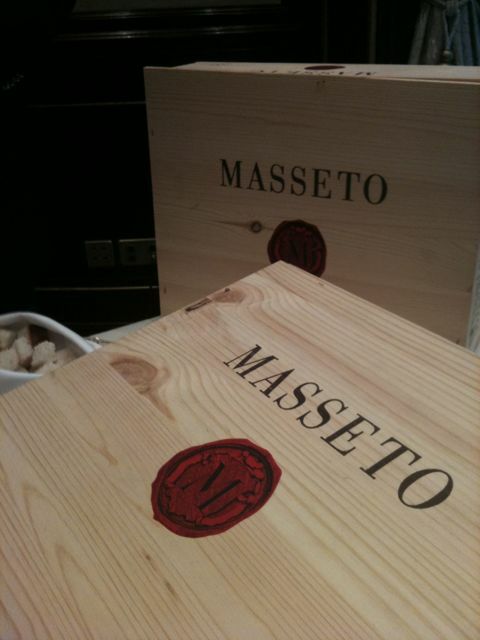 Axel Heinz, Masseto’s wine maker was going around tables talking about his wine. He is young with fluffy curly hair. It would be lovely to talk to him but I was too busy figuring out which sticker is which (light blue one is 01, yellow one is 04 etc). It’s too dumb of an idea to only put tiny colored sticker in order to differentiate which glass is which wine especially when there are so many bottles and I usually get bit tipsy after a while. Who the hell invent such “creative idea”? At the end, I got all confused, and drank them all. I had fun at the dinner “alone” in a not very lonely way after-all. What’s Next? Angelus Dinner at the Shangri La tonight!